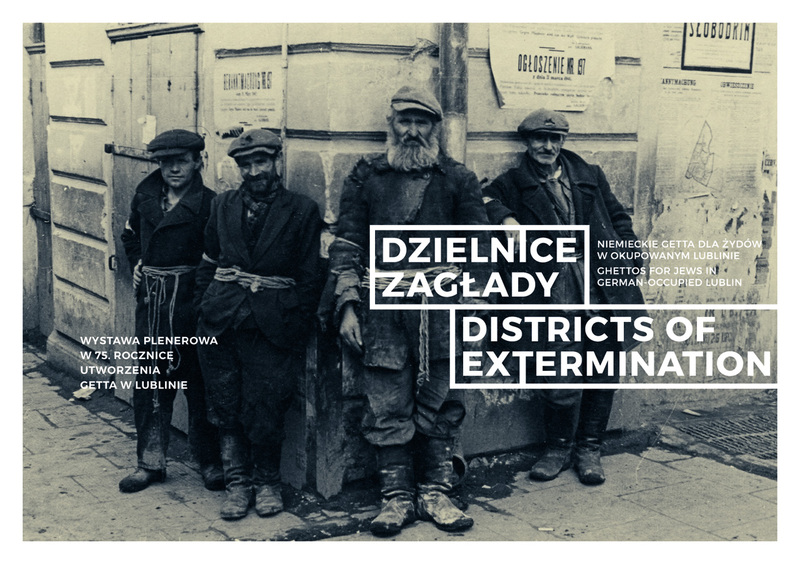 The exhibition “Districts of Extermination. 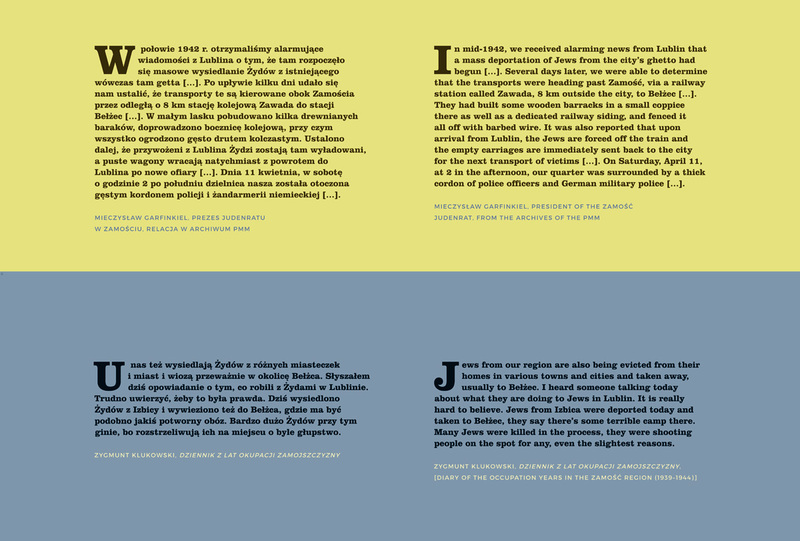 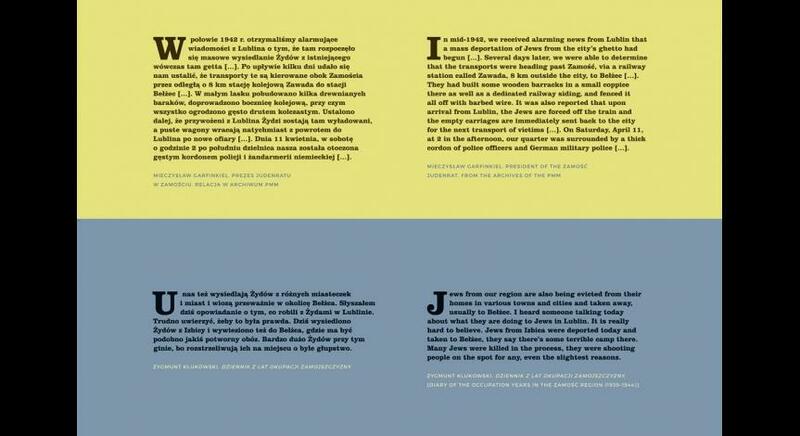 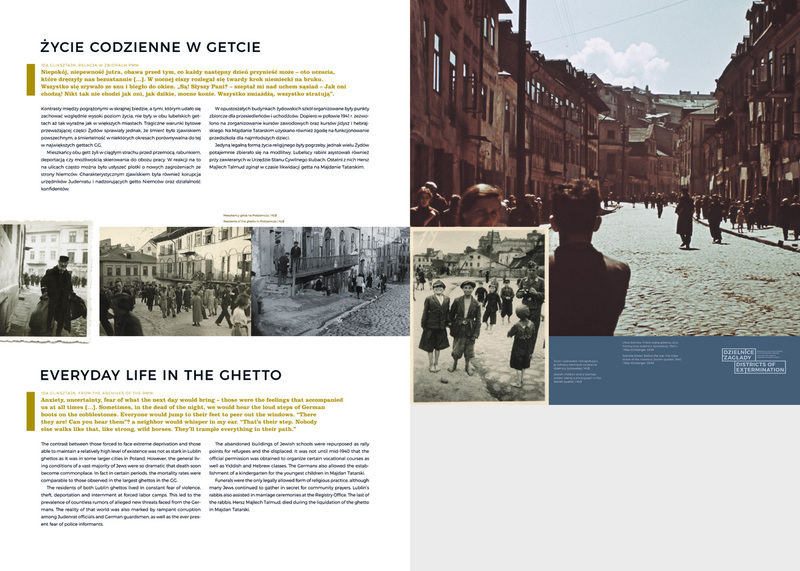 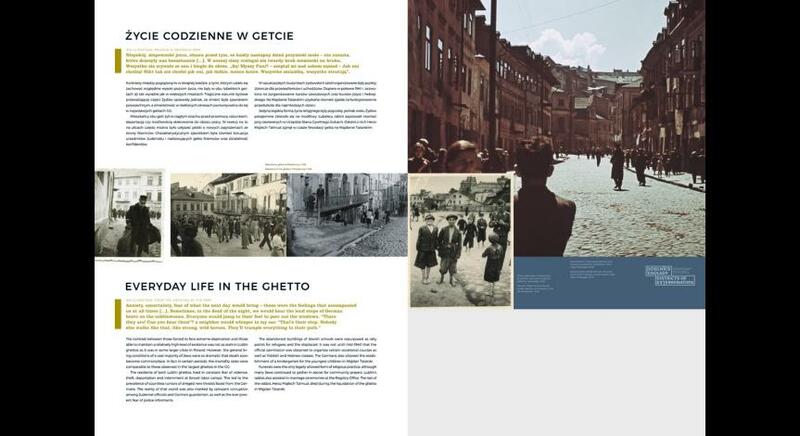 Ghettos for Jews in German-occupied Lublin” presents the episodic history of Lublin Ghetto as well as of a residual ghetto at Majdan Tatarski in a cross-sectoral manner. 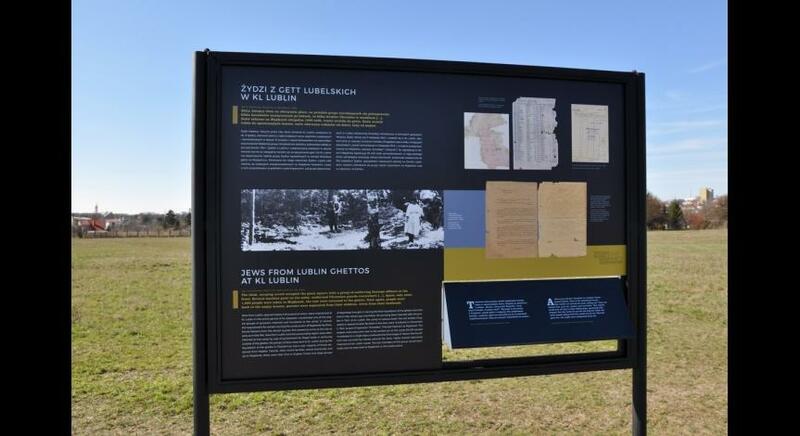 On March 24, 1941, German occupiers established a ghetto for around 34,000 Jews in the Lublin district of Podzamcze. 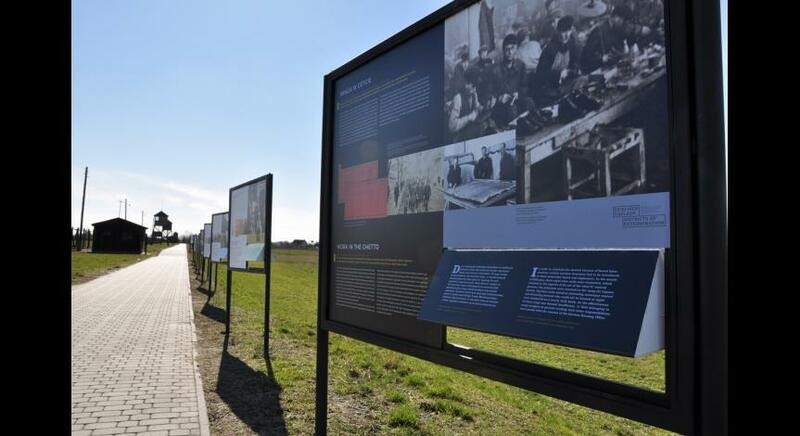 Following its liquidation and transports of nearly 28,000 ghetto inhabitants to the German death camp in Bełżec in March and April 1942, remaining Jews were relocated to a newly established ghetto in the district of Majdan Tatarski. 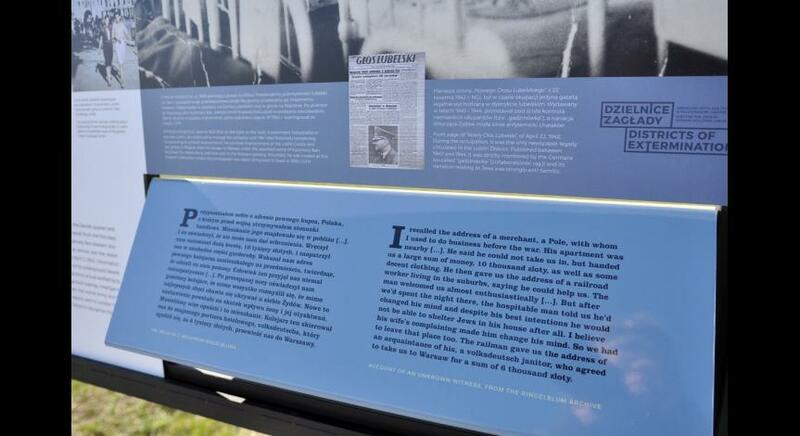 Eventually, it too was liquidated by the occupiers on November 9, 1942, and its residents were either murdered in the camps at Majdanek and in Sobibór or executed in the nearby Krępiec Forest. 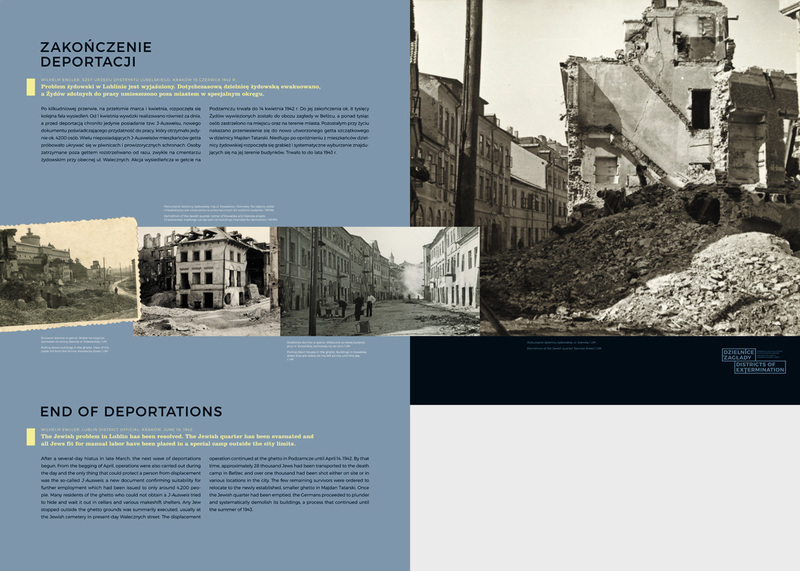 Over the span of their existence, in both ghettos or the associated camps approximately 40,000 Jews lost their lives. 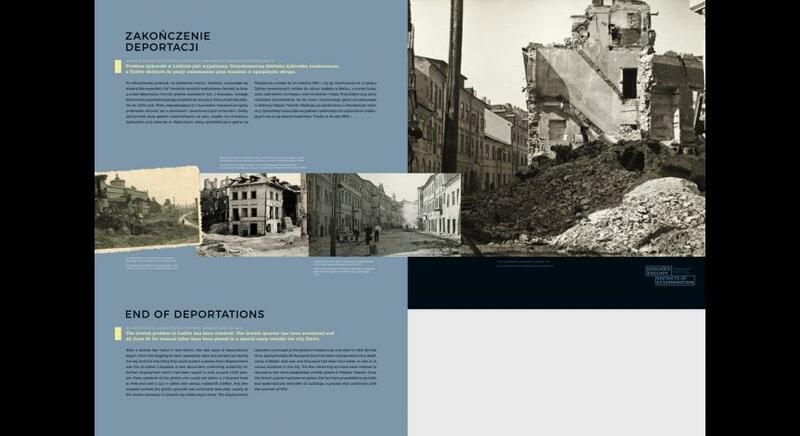 The victims included residents of Lublin and the Lublin region, Jews relocated from Łódź, Kalisz, Sieradz, Kraków, and Warsaw, as well as a number of Czech and German nationals. 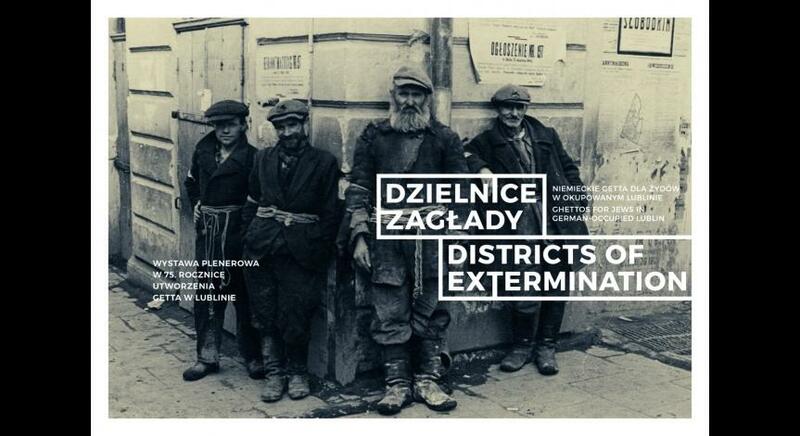 Marking the 75th anniversary of the ghetto establishment, the exhibition “Districts of Extermination. 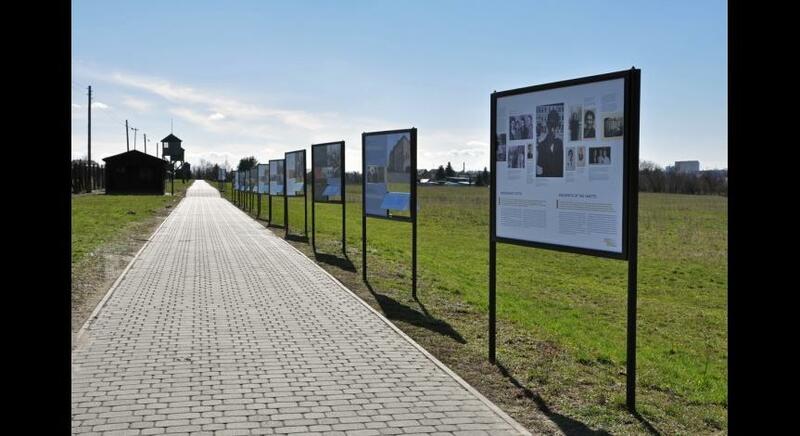 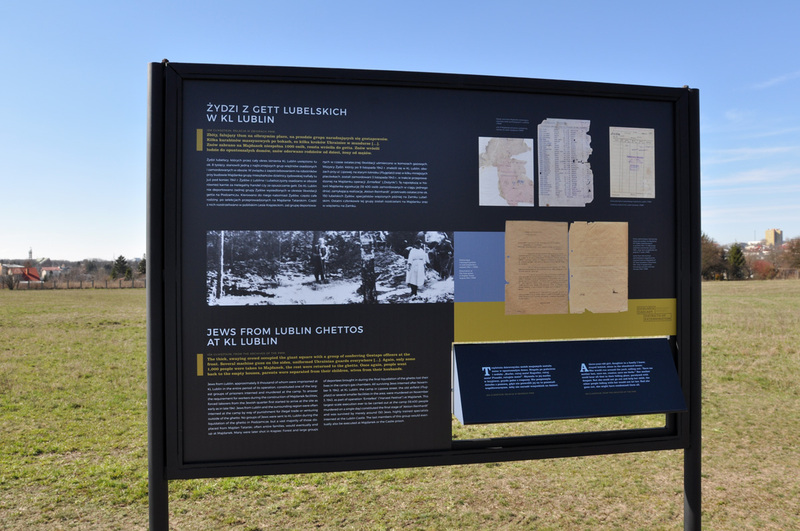 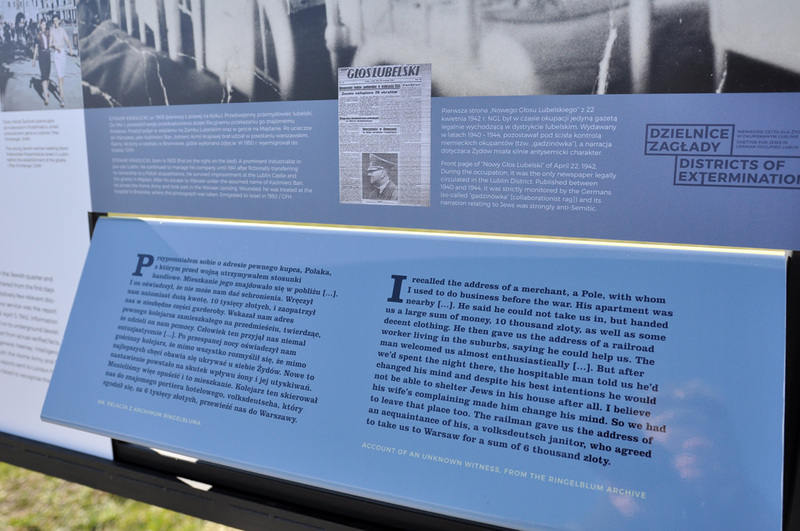 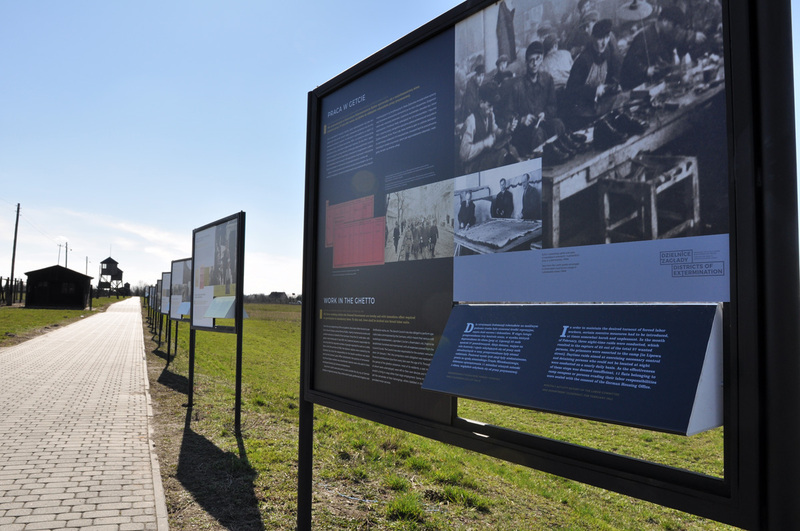 Ghettos for Jews in German-occupied Lublin” consists of 20 boards with rotating displays that make it possible to actively acquire information provided. 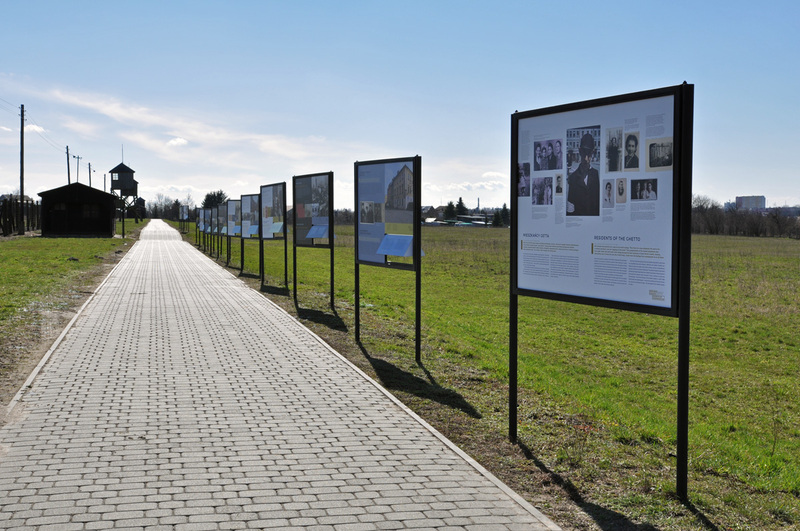 The exhibition presents over 120 photographs and historical documents from Polish and foreign archives and private collections, as well as 52 fragments of accounts by witnesses.